Electrically Heated Cyclone Pit Furnace - L&L Special Furnace Co, Inc. The annealing process occurs when the parts are evenly heated to 1,400°F / 760°C and held for a predetermined amount of time. Temperature uniformity is critical to this process, and both ambient and load temperature must maintain ±10°F throughout the cycle. The furnace is manufactured in accordance with the ASM2750E pyrometry specification. All thermocouple reference ports along with TUS survey ports and recording devices are included. There is a five horsepower, air cooled turbo convection fan included to aid in temperature uniformity. The system is controlled by Watlow controls and SCR power controls. The fastener parts are placed in baskets and loaded by an overhead crane into the furnace. There are guide bars to ensure that the load is centered and can not damage the furnace liner. The program or recipe is entered into the program control, and the cycle is started. At the completion of the cycle, the parts are removed and are ready for inspection and shipment. 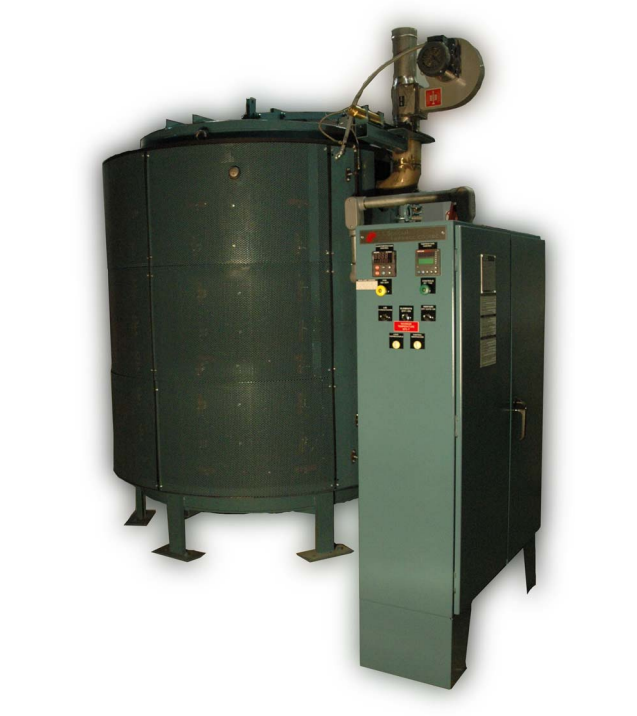 This furnace is ideal for production facilities where the operators have sole control of their heat treating cycle. Options include a variety of control and recorder configurations. All units come with a three-day, all- inclusive startup service available within the continental US and Canada. International startup and training service is available by factory quote. The furnace has been surveyed and is capable of ±10°F at 1,750°F throughout the work envelope. If precise temperature control and uniformity is key to your process, then L&L’s PT series is a great choice. L&L also has many other sizes available.